This Saturday we're going to be collecting for Carlisle Foodbank and The Red Box Project. It would be great if you would consider bringing a donation for either. 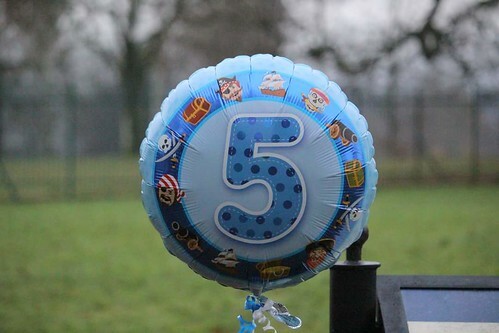 I can't quite believe we are 5! That's 43,950 runs, 5,083 different participants, 7,856 PB's and a total distance of 219,750km run. On Saturday we welcomed 258 finishers, 17 first timers and a lone first time tourist from.............Penrith! This year alone, 90 people have registered with Carlisle as their home run. If you're one of them but haven't yet come along - what are you waiting for??? There nearly wasn't a birthday run, but thanks to the small army who turned out to help grit the entire route early on Saturday morning, the 1k lap was the safest patch of path in the park! You may have seen Lindsay's Facebook post last week about raising funds to buy a gritting machine. 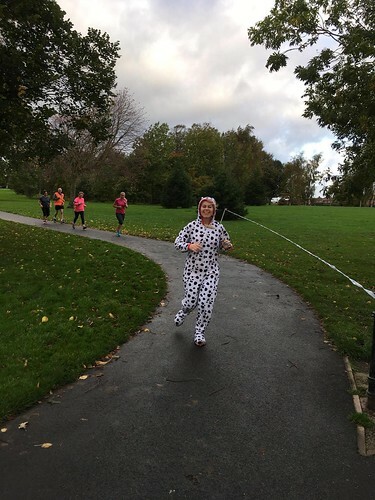 The team are not able to handle any cash, but if anyone would like to make a donation (and huge thanks to those who have done so already), you can do so by following this link: http://www.parkrun.org.uk/carlisle/aboutus/ . 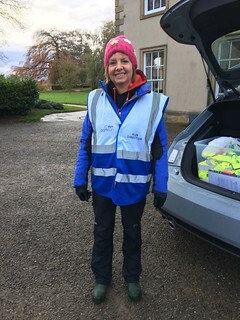 As well as the gritters, our usual volunteers were as brilliant as always and first-time RD Paula Harmon did a great job. Huge thanks to each and every one of you. The support around the course was amazing as were the array of cakes and sweets at the finish! Please do get in touch if you would like to volunteer - our future roster is HERE and we'd love to have you don the hi-viz! Just the one milestone to report from last week. Steve Viney delivered the First Timers Brief and in doing so joined the Volunteer 25 Club. Congratulations Steve and thank you for all your help. 30 runners recorded a new PB on Saturday. Well done to all of you, including Robert Charlton, Jennifer Williams, Luke Christian and juniors William Carter, Charlotte Graves and Lucy Harris. Since the New Year, the Manor has been noticeably busier on a Saturday morning due to different groups starting up. If at all possible, please use alternative forms of transport rather than driving, and if you do drive, car share where you can. If the car park is full when you arrive, use your common sense when parking on surrounding streets and don't block any driveways! While we're on the subject of the Manor, the cafe will be closed this Saturday. 4 parkruns in just over a week. 5 for those of you that made it to Keswick. 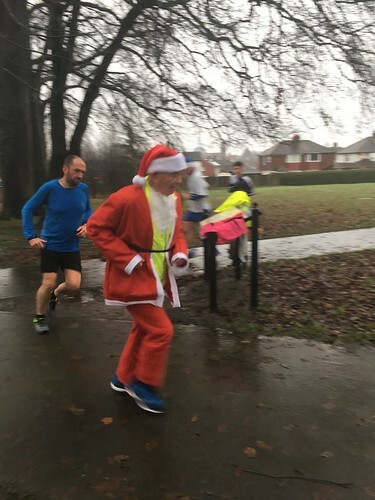 It must be Christmastime at parkrun! The only time an offical parkun can be held outside of our usual Saturday, and New Year's Day also offers the opportunity to run twice in one day. For the second year we liaised with our friends in the Lakes and many of us hit the road to be in Keswick for 1030am. 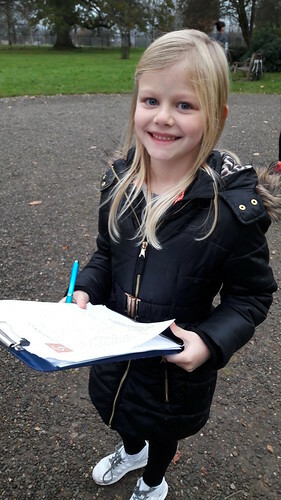 We had 840 finishers (with a total of 33 first timers) over the 4 runs - including our highest NYD attendance - so thank you to each and every one of you for contributing to our brilliant community. 84 people volunteered across those runs and an even bigger thank you to all of you. 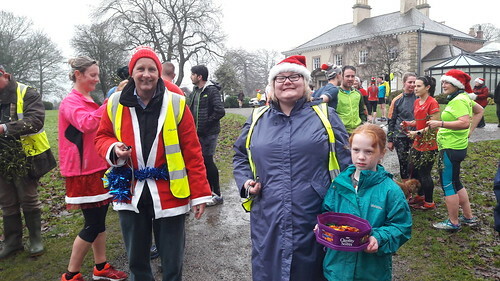 Christmas Day was not kind to us weather wise and I'll be eternally grateful to everyone that stood out in the rain to enable the run to go ahead. 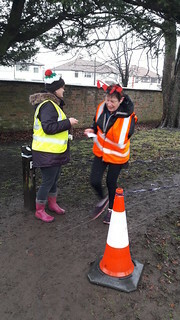 While I'm on the subject of volunteers, those of you who were there on the Christmas Day may have noticed we had a different volunteer to usual handing out the finish tokens. Allan Campbell had told us he couldn't do it because he had something on. Turns out that something was participating! 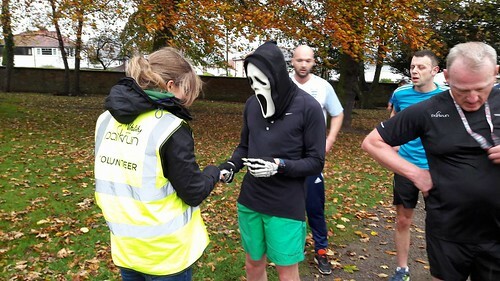 The last time he completed a parkrun was in 2013. Congratulations Allan - but don't scare us next time by falling over! Please do let us know if you'd like to help out one Saturday. If you've never volunteered before, why not make it a New Year's Resolution to give it a go? Check out the website volunteer page and get in touch. Thanks as well to Roy Waller (Lindsay's Dad) for the mistletoe and Family Messenger for the sweets! I'm going to attempt to namecheck those of you who ran a milestone over Christmas, but due to there being no foolproof way to do it (apart from me checking after each run, which I didn't do) I may miss someone. Apologies in advance if I do - please let me know and I'll make sure you get a belated shout out next week. We welcomed tourists from far and wide. Our first finisher on NYD - junior Kieran Cooper - and his Dad ran with us as part of their epic Carlisle-Tollcross double. 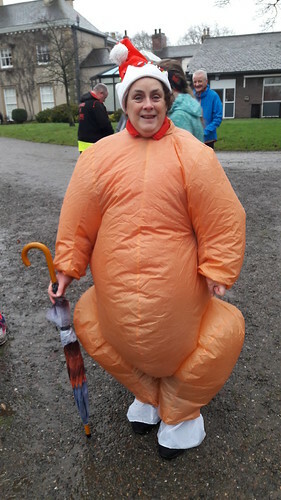 Other parkruns represented over the 4 runs include Sale Water, Cambridge, Druridge Bay, Burnage, Wimbledon Common, Wolverhampton, Chichester, Great Cornard and closer to home, Keswick, Penrith and Workington! 49 new PB's were recorded over the Christmas period - with 19 on Christmas Day itself! Well done to all of you - brilliant running. 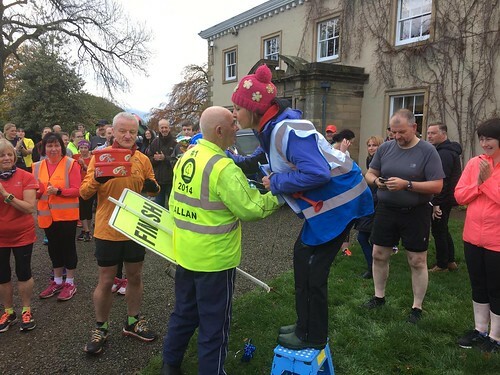 The full results and a complete event history can be found on the Carlisle parkrun Results Page. The male record is held by Jon FLETCHER who recorded a time of 16:03 on 15th August 2015 (event number 132). The female record is held by Isabel CLARK who recorded a time of 17:47 on 26th August 2017 (event number 237). The Age Grade course record is held by Janet KENYON who recorded 89.43% (19:43) on 6th July 2013 (event number 24). 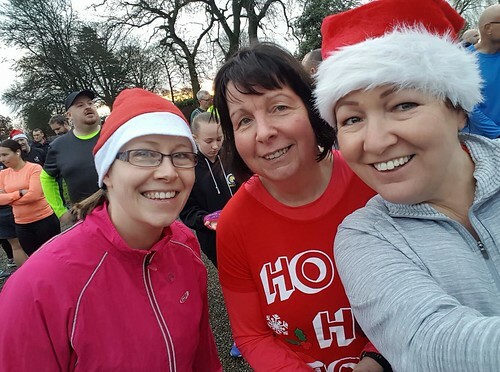 I absolutely love the Christmas parkruns and I hope everyone else enjoyed it as well. We turn 5 in a few weeks (the 20th) so I hope you'll be there to celebrate with us. Here's to a wonderful 2018. 175 people crossed the finish line last weekend. 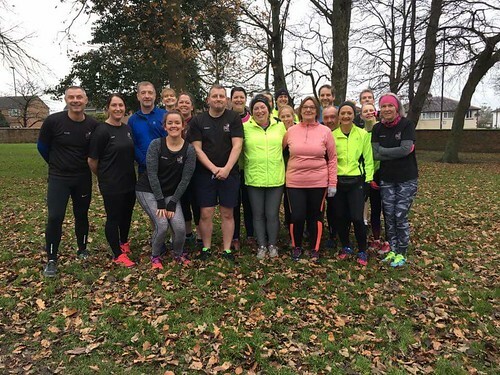 We welcomed 13 first timers, tourists from Cambridge and Harrogate parkruns and the latest graduates of the Border Reivers beginners course. It was lovely to see everyone making their way around the park and I hope you join us again soon. Huge thanks to all our volunteers and a special mention to those who answered the call late last week! Please have a look at the volunteer page on our website and get in touch if you can help out one weekend. Just the one milestone to mention. Congratulations to Garry English who FINALLY joined the 50 Club! It's been a long time coming so huge well done Garry and thanks for the cake. 36 runners recorded a new PB last Saturday. Congratulations to all of you, including Carole Jardine, Hugh McCory, Gary Chandler and juniors Abie Mair, Rebecca Long and Harry Sidaway. Thanks to everyone who donated to the foodbank. We'll be doing that again tomorrow and on the 16th so please being something along if you can. Keep an eye on the weather for tomorrow, hopefully nothing will get in the way of our 9am run but it'll be posted on social media should the conditions force us to cancel. 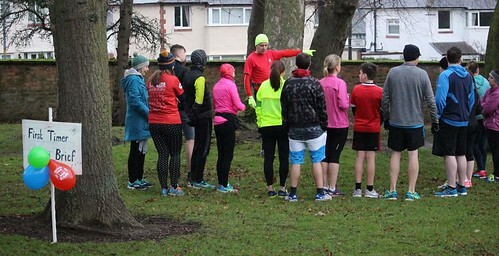 250 parkrun events in Carlisle! Whether you've been there from the start or were one of our 9 first-timers last week, thank you for being a part of our amazing community. I'm hoping that someone from this amazing community will come forward and help complete the roster for tomorrow. Barcode scanner or funnel manager, the choice is yours! Lots of our regular volunteers and runners are away, so if you've ever thought about volunteering but haven't got around to it yet, tomorrow is the perfect opportunity! 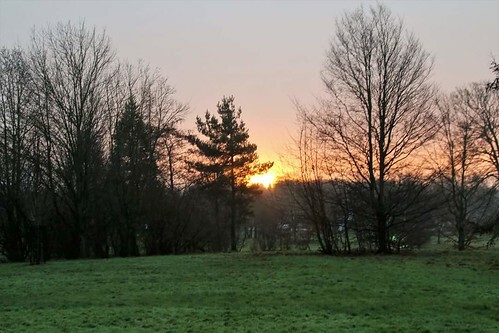 Drop us an email at carlislehelpers'parkrun.com . Jobs on our Christmas and New Year's Day runs are up for grabs as well. Both events start at 9am and on NYD there is also the opportunity for a double run with Keswick starting at 10.30am. 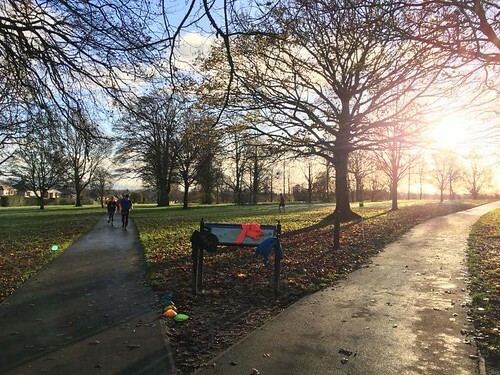 Check out the parkrun CHRISTMAS COMPENDIUM if you're going to be away over the Christmas period to see if an event near you is on. There were 194 runners last week for our first really cold run of the season. As well as the aforementioned 9 first timers, we welcomed tourists from Lee On The Solent, Bolton, Medina, Forest Rec and Dumfries junior parkruns. I hope you all enjoyed your trip to Chance's Park. Just the one milestone to report - congratulations to Michael Nattrass on joining the 50 Club last weekend. 14 of you ran a new PB last Saturday. Congratulations to Lawrence Payne, Lisa Smith, Michelle Moore, Clare Brown, Maggie McLellan, Tori Wylie, Gary Chandler, Katie Williamson, David Ferguson, Andrew McManus, Susan Holliday, Will Barnes, Maria Stevens and Matthew Emmerson. Don't forget for the next 3 Saturdays we will be accepting donations for the Foodbank. Please bring something along if you can - there will be a box near the start - and take a look at their website HERE to see what they need. Thank you in advance! Thanks to Emma Taylor for the great header photo. 194 runners crossed the finish line last Saturday, with 14 brand new parkrunners joining us and tourists from Alice Holt, Worcester. 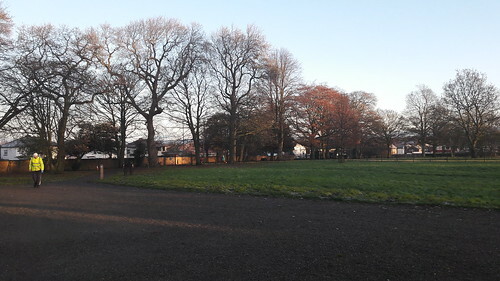 Workington, Coventry and St Andrews parkruns. Thanks to every single one of you, and well done to Matt Charlton on his debut as Run Director. You (ably assisted by Caroline Evans) did a great job. We are still looking for some willing volunteers for Saturday. Please get in touch if you can help. Have a look at the volunteer page on our website. There were 27 PB's last weekend. Congratulations to all of you, including Lottie Grace, Ian Mercer, ken McGarva and juniors Harry Sidaway, Olivia Morrison and Ellis Graves. There was cake aplenty thanks to new 100 Club members Louisa Weeks and Angus Timmins. 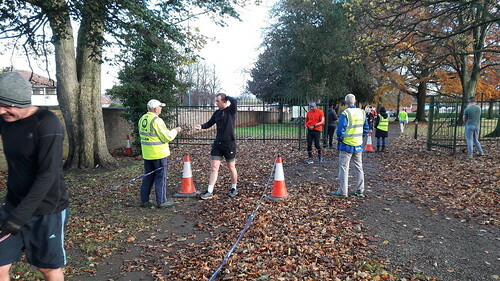 Aidan Martin joined the junior 10 club while the volunteer 25 Club welcomed Louise Duffy. Well done guys! All of Saturday's results and a full event history can be found on the Results page of our website. Take a look! Autumn is well and truly here. 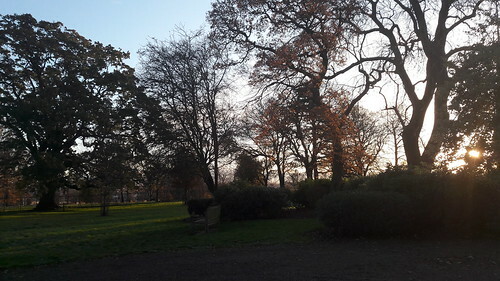 The park looked absolutely gorgeous on Saturday morning, and while it started off a little chilly, by the time I reached my 4th lap it was very warm! Among our 236 finishers were 12 official first-timers and one very cute unofficial one. 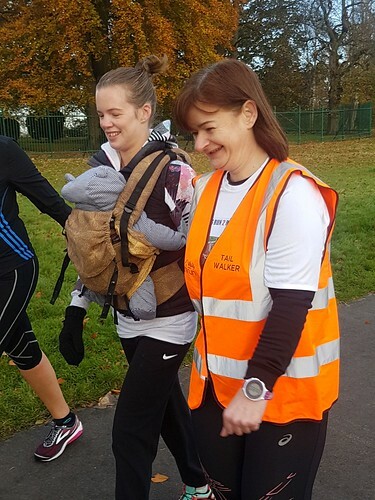 Natalie Storey returned to parkrun for the first time since having baby Oliver and he accompanied her around the course. It's lovely to have you back Natalie! We welcomed tourists from Stamford park, Pontefract, Newcastle, Keswick, Bolton, Doncaster and Northampton parkruns. We hope you enjoyed our course and that we see you again! Huge thanks as always to our volunteers. 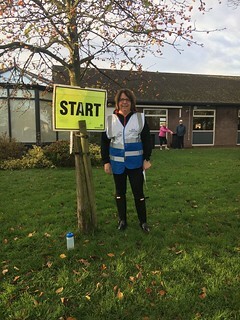 I'd like to give a special mention to our new Run Directors - the sister act of Kathryn Holliday and Nicola Jackson (accompanied by fabulous set-up teams and volunteer coordinators) did a great job over the last 2 weeks. Well done ladies! 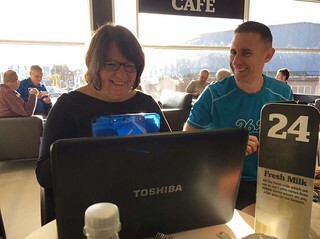 If you've ever doubted that volunteering can be fun, take a look below - Nicola and Kev are having a brilliant time processing the results! If you want to join in we'd love to have you! Check out the volunteer page on our website. In milestone news last week, Jordan Williamson and Katie Williamson both joined the junior 10 club. Well done both of you! 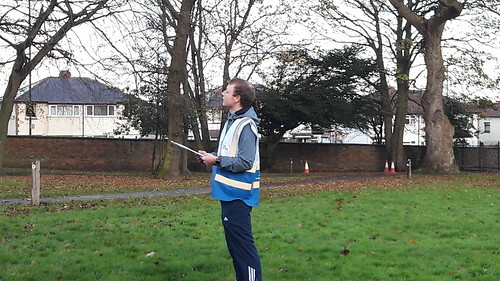 At event 247, our superstar volunteer Allan Campbell reached his 200th stint in the hi-viz. Congratulations Allan - the end of the finish funnel wouldn't be the same without you! There were a whopping 43 PB's last weekend. Congratulations to all of you including Delyth Owen, Paul Whitehead, Adrian Wood and juniors William Carter, Katie Blaylock and Aidan Martin. During December, we will be collecting items for the foodbank each Saturday. Please take a look at their shopping list HERE and if you can, bring something along and drop it off in the start area. Thank you in advance! 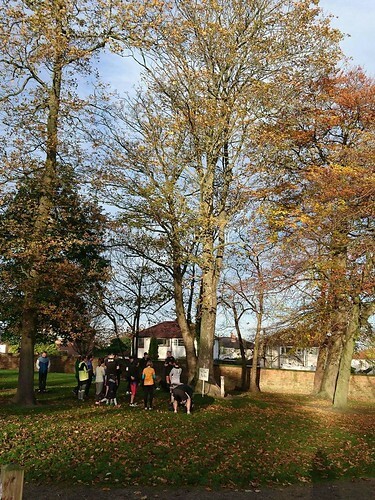 PS - Last Sunday, the 2nd junior parkrun in Cumbria started in Keswick. Congratulations to the team for their hard work. Check it out if you're down there for a weekend! 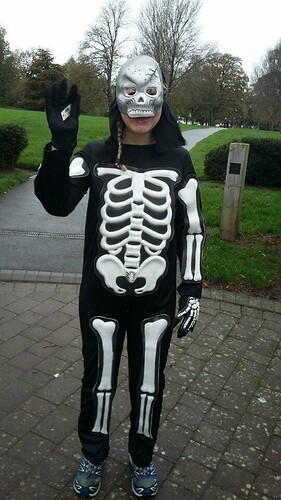 I hope everyone enjoyed our Halloween parkrun. Thanks Lindsay for the finish line treats! 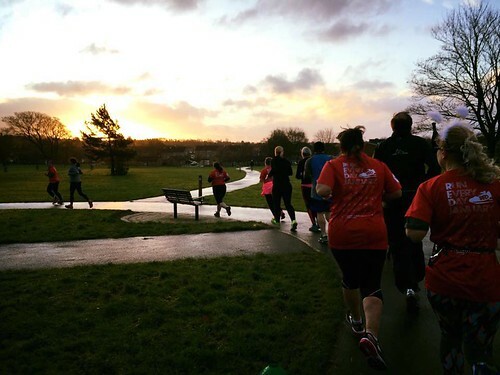 217 of you crossed the finish line and we welcomed a whopping 20 brand new parkrunners to the family. 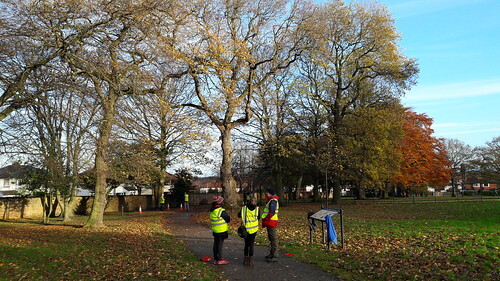 Tourists last weekend came from Keswick, Warrington, St Albans, Barking, Long Eaton, Walsall Arboretum and Barrow parkruns. Thanks to all our hi-viz heroes. Your help is always appreciated. Please do get in touch and email us if you can help one Saturday. All the info can be found HERE . 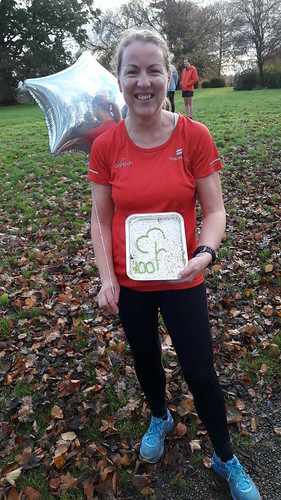 Congratulations to Tracey Hunter on her 100th run (I took a lovely photo but appeared to have deleted it!) and Martin Steele on his 50th. Ivor Norman joined the 25 Volunteer Club - thank you Ivor for all your help! 26 runners recorded a new PB including Nathan Scott, Katie McClure, Claire Rodley, first finisher Ryan Gavin and juniors Ewan Magri and Lennon McNee. Well done! PS - As I was about to hit publish I noticed that parkrun have tweeted that the 4 millionth person has registered. A4000000. How amazing is that? 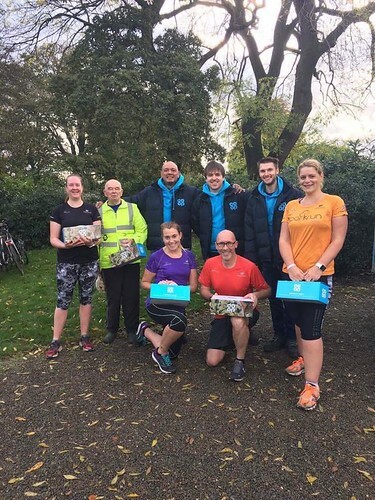 It was lovely to welcome the Co-op to the park on Saturday, and great to see so many people chatting to the guys and enthused by the boxees of goodies they received. It was even nicer that evening to see photos of meals made from the ingredients in the boxes pop up on social media. 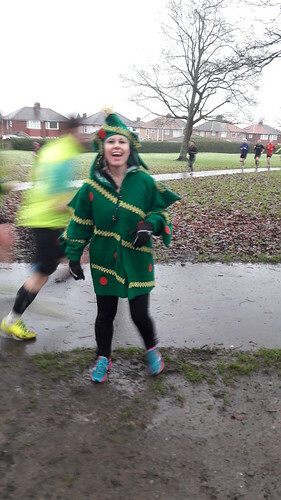 We had 243 finishers last weekend - including a whopping 21 first-timers and tourists from Burnage, South Shields, Roundshaw Downs, Wycombe Rye and Mile End parkruns. Run Director-In Training Tony Mills did a great job delivering the run brief. I imagine that there are some of you who didn't hear it all though - PLEASE PLEASE remember to stay quiet for these few minutes. You may have heard the run brief hundreds of times, but you may miss important information, and you may be next to someone who has never heard it before. Thank you. Moan over! Thanks as always to everyone who helps out. 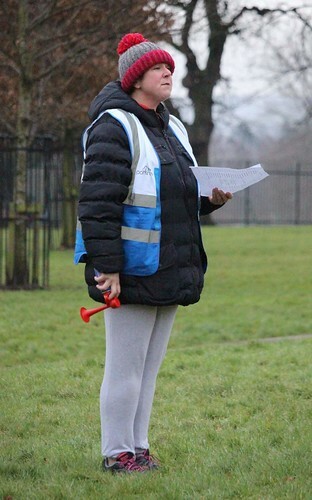 Please email carlislehelpers@parkrun.com if you'd like to help one Saturday. Please don't use Messenger to send us volunteering messages as our volunteer coordinators don't always have access to it. Congratulations to Maria Renucci on her 50th run (and to co-ED Kev Mulvey on his not-an-official-milestone 150th run) and to Andrew Carter on volunteering on 25 separate occasions. Thanks also to Glenda Blakey for the great 101 Dalmations themed cake - Glenda forgot her 100th last week, so celebrated a week late! 23 runners recorded a new PB - huge well done to all of you, including Rachael Cross, Jordon Eden, Tom Bakes and juniors Amy Niamh Scott and Euan Crooks. Michael SCOTT (VM50-54) – 78.18% for the time 19:01 (4th overall). Paul M GRAVES (VM35-39) – 77.80% for the time 17:25 (first overall). Gavin BANNISTER (VM55-59) – 73.28% for the time 21:20 (12th overall).